We took a road trip to Utah in May for my sister's wedding. We were there for ten days and made a vacation out of it. We were able to do a lot of fun things and see a lot of friends and family. We had such a wonderful time! Thanks to Mark and Bev, my Uncle and Aunt, who were go generous to let our family stay with them. We loved it there! We had a great trip and we were sad to come home! Great memories! Just warning you there are quite a few pictures! My sister Ashley was married on May 9th in the Draper Temple to Spencer Rex and we were so excited we could be there. Well, actually I was able to attend the sealing but Aaron was not. An hour before we were suppose to be at the Temple, Wyatt fell off a bed and was screaming and wouldn't let anyone touch his arm. So we thought he broke it. Aaron had to take him to an urgent care clinic for xrays so I could go to the wedding. After we came out of the Temple there was Wyatt perfectly fine. I was sad Aaron couldn't go, but I guess better safe than sorry. It was a beautiful wedding and we're excited to have Spencer in our family. That's me the cake cutter! We had a great time making smores in Mark and Bev's backyard with their fire pit. Colton was a little unsure of the fire...naturally! That's a good thing! We also roasted starburst candy...which was a first for me. They were so yummy. It was the perfect chilly evening to sit around a fire. Wyatt is a train fanatic so we had to go to the Heber Creeper. He absolutely loved it! We all had a fun time! 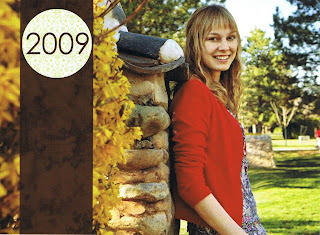 While we were in Utah my sister Emily graduated from the University of Utah with a major in Urban Planning. We decided not to go, on account that we have three children that would not sit through a graduation ceremony. We went to the Heber Creeper instead. But we are still very proud of Emily and her accomplishment! Love you Emma! Hanging out at Mark and Bev's! We loved staying with my Uncle Mark, Aunt Bev and their family. They are so wonderful! We had so much fun! Caylee, Colton, and Wyatt were in heaven. They didn't want to leave. We miss them so much! Thanks guys for such an amazing trip! You really made it special. We really enjoyed Temple Square. There is so much to see. The flowers are so beautiful! Everything is beautiful! This was the boys first time there.